Up to 54% Student Discount at Hewlett Packard - HP If you are a student with a valid membership you can enjoy up to 54% discount at HP! Up to $200 Off Selected Laptops at Hewlett Packard - HP Check out the HP online store to save big when shopping for a new laptop. Up to $100 Cashback on Eligible Original HP Inks at Hewlett Packard - HP HP inks are made to deliver professional colour and laser sharp text. Shop today and save big. 60 Day Money Back Guarantee at Hewlett Packard - HP If you are not completely satisfied with your order you can return it within 60 days of purchase. Omen by HP Apparel from $39.95 at Hewlett Packard - HP Shop for hoodies and t-shirts designed with gamers in mind! Omen Gaming Accessories from $20 at Hewlett Packard - HP Feel like a professional gamer with a range of accessories with prices starting from $20. HP Sprocket from $179 at Hewlett Packard - HP Instantly print pictures from your phone with this pocket-size printer. From making audio oscillators for Walt Disney himself in 1939, entering the microwave field in 1943 and building a frequency synthesiser to be used in deep space in 1963, HP has always been about bringing the future forward into today. Its atomic clock set the standard for international time and its collaboration with Intel resulted in computing advancing from 32 to 64 bits. If you didn’t understand any of that, don’t worry, it just means that HP has always been a leader in its field. Luckily, you don’t need a PhD to get to grips with its products: tech specs are laid out clearly so whether you’re choosing a desktop, notebook or tablet you’ll always know the score. Filled with high quality components but always easy to use, HP walks the line between power and usability with ease. With special collections for home, professionals and gaming, HP is sure to have a product that’ll suit you. How do I use my HP e-voucher? Looking for a bargain? Check out HP’s outlet for some serious end-of-the-line discounts! Can I get free delivery with HP? Yes, when you spend over $50. Can I get a student discount with HP? Yes, you can get up to 30% off when you register with UNiDAYS. How can I pay online with HP? You can pay with Visa, AmEx, Mastercard and PayPal. Does HP offer a price matching service? Yes, if you find the same product cheaper elsewhere, call HP on 13 23 47 and it will match the price. See here for more details. You can return your purchase within 14 days of receipt to receive an exchange or refund. Contact customer services on 13 23 47 to initiate your return. Full policy here. Thanks to HP, investing in the very best technology doesn’t require remortgaging your house. With a range of powerful desktop PCs, nimble tablets and all-purpose laptops, this is one company that can boast user-friendly, advanced tech at a great price. Use one of our HP coupons and you’ll get money off these must-have items, taking your computing to the next level for even less. Upgrade your work and home-life with an HP product today! HP’s 2-in-1s are all the rage and for good reason — they offer the performance and flexibility that allows you to go from your desk to out-and-about with complete ease. 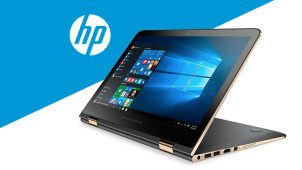 Buy with an HP discount code and you’re sure to make a saving on these cutting edge products. Featuring the latest Intel processors, anti-glare touchscreens and substantial RAM, why choose between a tablet and laptop when you can have both in one item?